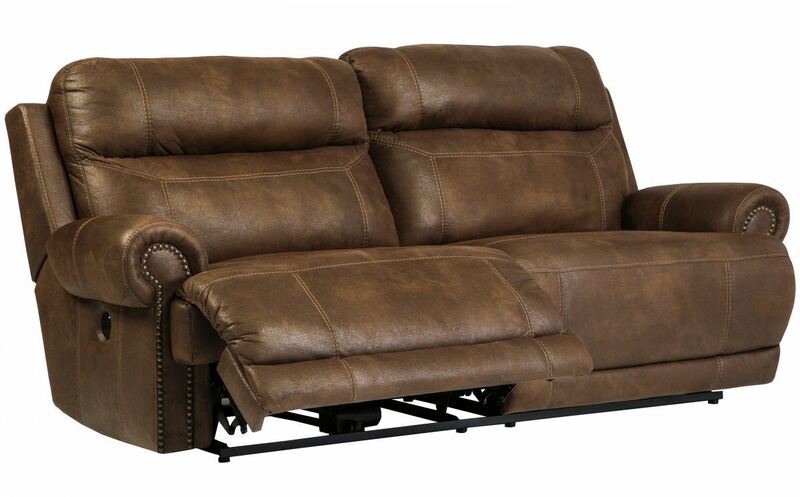 The Austere power reclining sofa lives up to its name-if we're talking sparing that "puffy" look you might expect from a recliner. When it comes to contemporary style, it doesn't hold back. Subtle touches such as sporty jumbo stitching, nailhead trim and a "weather worn" effect on the upholstery give this handsome piece a buttoned-up appeal and fresh feel. One touch power means infinite ways to recline in style.